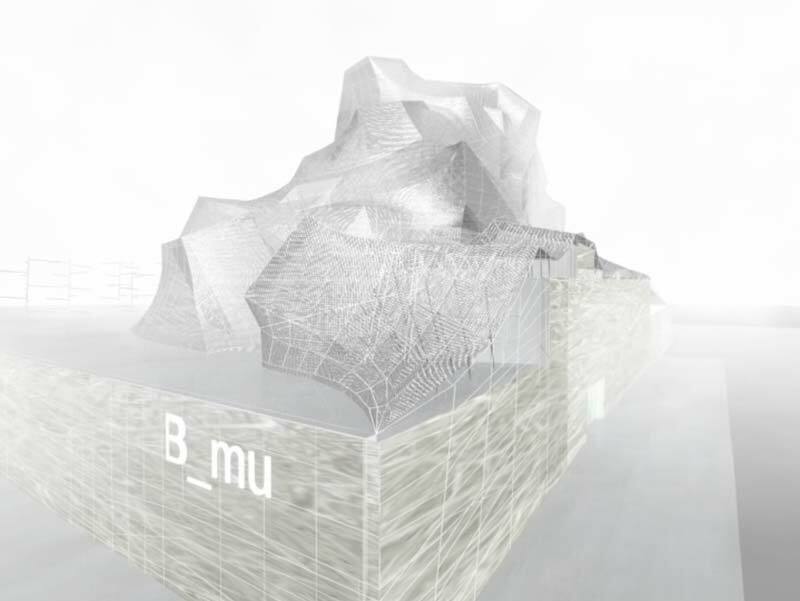 Design of a Contemporary Art Museum. 1) Random relief calculated by particles and pixellisation for a pure grey ectoplasm under the lightning grey sky of Bangkok. 2) Collecting the dust (particles of carbon monoxide) of the city (“Breeding the dust” of Duchamp...) by an aluminum envelop and electrostatics system. 3) Exacerbating the schizoid climate between interior (white cube and labyrinth in an Euclidian geometry) and exterior (dust relief on topologic geometry), and using this sun protection monolith interface for in/outdoor exhibition.